Ministry Of Energy, Industry and Mineral Resources located in Riyadh. It was established in 1380. 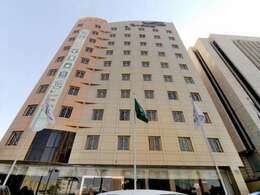 This ministry responsible for management and development and exploitation of petroleum, and mineral resources in Saudi Arabia. the Ministry of Energy and Industry and Mineral Resources aims to sustainable development of the oil and petroleum and mining industry in all stages to achieve higher added value for the national economy, and work on the discovery and exploitation of the resources of the petroleum and mineral to achieve the highest return of them. In 1355 H was created Agency of Public Works and Minerals and it was affiliated to the Ministry of Finance at the time, and in 1372 was established the General Directorate of Petroleum and Mineral Affairs and was affiliated to the Ministry of Finance as well, In 1380 it was converted the Directorate to (Ministry) under the name of the Ministry of Petroleum mineral Resources, In 2016 was renamed the Ministry of energy and Industry and mineral Resources. the current minister of Ministry of energy and Industry and mineral Resources is Eng. Khalid Al-Falih.